Nikon Zoom Nikkor 80-200mm F4.5 Lens. Will work on both canon eos film slr's and Digital also. Canon EOS 200D/Rebel SL2/Kiss X9. Canon EOS 77D (EOS 9000D in Japan). No lens cap. EOS 300D/Digital Rebel/Kiss Digital. EOS 350D/Digital Rebel XT/Kiss Digital N.
Nikon AF-S Nikkor 24-85mm. Mount: Nikon AF-S Mount. Includes both lens and mount. Grade 2 - Light traces in part of/ throughout the lens. As the UK's number one heart charity, the cutting edge research we fund has already made a big difference to people's lives. Canon Zoom Lens EF 75-300mm 1:4-5.6 II. Condition is Used. Dispatched with Royal Mail 2nd Class. Good condition and hardly used. Also includes the lens hood. Nikon G ED VR 28-300mm f/3.5-5.6 VR AF Lens. Condition is Used. Dispatched with Royal Mail 1st Class. Seems like there are some marks/dusks inside the glass but they doesnt affect the funtionality of the lens. They dont show up in any photos as well but bear this in mind when you bid. Minolta Maxxum Af Zoom 70-210mm 1:4 (32) Lens With Case. Condition is Used. Dispatched with Royal Mail 2nd Class. 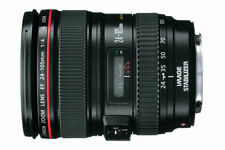 Canon EF-S IS 18-200mm F/3.5-5.6 IS EF-S Lens. Used but fully working. Good condition. No marks on glass or body. Canon EFS 18-55mm f/3.5-5.6 III (Used - Good Condition). Condition is Used. Dispatched with Royal Mail Signed For® 2nd Class. 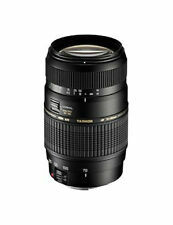 New listingPentax HD DA 55-300mm f4-5.8 ED WR Zoom Lens. Angle of view: 29° to 5.4°. Weight: 466g. Minimum focus distance: 140cm. Canon EF 70-300mm f/4-5.6 III Lens. Front Lens Cap (E-58U). Rear Lens Cap. Lens Construction. Diagonal Angle of View. AF Actuator. Closest Focusing Distance. of Diaphragm Blades. New listingMinolta X300 + MD 35-70mm f/3.5 Macro Lens EX+ condition - BOXED - all working. Very clear viewfinder. The asking price could just be for the lens alone. The lens has been serviced and it is ready to use (also on digital where it can be used with an adapter - not included). - Original lens hood. 5 out of 5 stars - Minolta X300 + MD 35-70mm f/3.5 Macro Lens EX+ condition - BOXED - all working. 1 product rating1 product ratings - Minolta X300 + MD 35-70mm f/3.5 Macro Lens EX+ condition - BOXED - all working. New listingSIGMA 70-300MM F4 / 5.6D APO MACRO LENS . NIKON AF FIT. SIGMA 70-300MM F4 / 5.6D APO MACRO LENS. NIKON AF FIT. Comes with original leather carry case, instruction booklet and box. While not new, limited usage leaves the lens and carry case in mint condition. Sony SAL 75-300mm f/4.5-5.6 ED Lens excellent for A mount . Condition is Used. Dispatched with Royal Mail 1st Class. 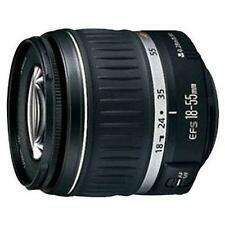 Canon EF-S 10-18 mm F/4.5-5.6 IS STM Lens. Condition is Used. Dispatched with Royal Mail 1st Class. Great condition, unmarked. Comes boxed pretty much like a new one would. Very little use despite being a cracking wide angle. Good for vlogging apparently if that's your thing! Condition is Used. I have tested it on a Nikon F2 and Sony a6000 with adaptor. This lens is quoted as the best manual zoom lens ever made by Nikon (see Ken Rockwell’s review and full specs). - Constant F4 Aperture. AF/MF VR in working order. Canon's USM / UltraSonic Motors, are also famous for being quieter than standard motors used in cheaper lenses. Great for sports, nature and portraits. Value: Great price, wonderful lens. Pictures: Great lens, takes nice pictures. The lens is in excellent overall condition showing minimal signs of use (see pictures). - Tamron 10-24mm F/3.5-4.5 Nikon Fit lens. - OEM Lens hood. Canon EF-S 10-18 mm F/4.5-5.6 IS STM Lens. Great lens, only selling because I upgraded to a full frame camera body. Doesn't have its original box. Condition is Used. Dispatched with Royal Mail 1st Class. Had only very light use. Treat yourself. I forgot to say this lens has had a filter all of its life, it is a Tiffen 77mm UV Protector and this is included in the sale. Sigma 120-400mm F4.5-5.6 DG OS HSM Autofocus Zoom Lens. This lens is in very good condition throughout and full working order with no faults. This lens is equipped with the rear focus system that minimises fluctuation of aberrations caused by focusing. Lens will work on ANY canon SLR digital or film. Lens has been used but works perfectly. Canon EF-M 11-22mm f/4-5.6 IS STM Lens. Condition is Used. Lens in good condition with some Slight wear marks on the zoom ring, Dispatched with Royal Mail 2nd Class. Nikon 16-35mm f/4 AF-S VR IF ED Lens, boxed, used but immaculate. Free UK post. The lenses condition is used but looks like new. It works perfectly and has been well looked after. The zoom slides smoothly from one end to the other. It works fine on both manual and autofocus, and the VR function works as it should. 5 out of 5 stars - Nikon 16-35mm f/4 AF-S VR IF ED Lens, boxed, used but immaculate. Free UK post. 18 product ratings18 product ratings - Nikon 16-35mm f/4 AF-S VR IF ED Lens, boxed, used but immaculate. Free UK post. The AF-P series of lenses uses a special pulse motor AF system which uses stepping motors for smooth, silent focusing during both stills and video shooting. Nikon AF-P DX NIKKOR 70-300mm f/4.5-6.3G ED VR Lens. Olympus M.Zuiko Digital ED 12-50mm 1:3.5-6.3 EZ Lens - Black. Condition is Used. Dispatched with Royal Mail Signed For® 2nd Class. Good working order. The front lens cap no longer stays attached. New listingCanon EF 75-300mm f/4-5.6 III Lens used twice. 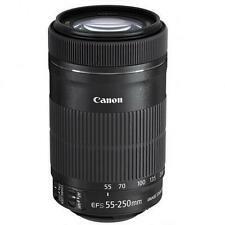 Canon EF 75-300mm f/4-5.6 III Lens f4-5.6. Purchased NEW just 2 weeks ago, had a play around for a few photos, everything works fine. Selling as I had another lens purchased for me. This is a great zoom lens that benefits greatly using a tripod. Comes in original packaging and box, with end caps. Dispatched with Royal Mail 2nd Class. 5 out of 5 stars - Canon EF 75-300mm f/4-5.6 III Lens used twice. 47 product ratings47 product ratings - Canon EF 75-300mm f/4-5.6 III Lens used twice. It was in good used condition, and remains so. It's hardly been out of the house. Photographs are of the actual lens. Superb Lens in excellent condition. There are no marks or dust at all and the results are superb. Sigma 135-400mm 1:4.5-5.6 APU DG lens for Nikon. finished in matt black used but in good condition. Nikon Nikkor AF 55-200mm F/4-5.6 AF-S DX VR II ED Lens. Condition is Used. Dispatched with Royal Mail 1st Class. Here is my nikon lens in almost new condition, only used a couple of times, I'll be giving the Tiffen filter along with the lens in its original box, thanks for looking and happy bidding. There is a built-in, rotating tripod mount for easily attaching to your tripod or monopod. This lens is great for the wildlife or nature photographer who wants to be hidden while taking photos of the subject. Marks on body of lens as you'd expect on a used lens. New listingTokina AT X 116 PRO DX 11-16mm F/2.8 Lens (NIKON) light use and well cared for! Condition is Used. The Tokina AT-X 116 PRO DX is an ultra-wide angle lens with a fast f/2.8 aperture for better photography in low-light situations. The AT-X 116 PRO DX has a slightly shorter zoom range to maintain optical quality at wide apertures. Nikon Nikkor 80-200mm F4.5 AI Manual Focus Zoom Lens with Nikon hard case . I'm selling all my Nikon kit so see my other items Dispatched with Royal Mail 1st Class. Optics clean and clear, no marks or scratches on the body or glass. Mount is in good order. Canon EF 70-200mm F/4 USM L series Lens. Condition is Used. Canon EF 75-300mm f/4-5.6 III Lens used twice. Nikon Zoom-Nikkor AF Nikkor 18-35mm f/3.5-4.5D IF-ED Lens. Plus UV filter.